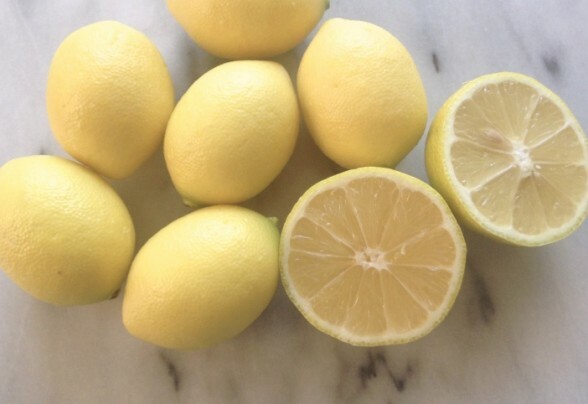 My sister-in-law, Julienne, made a lovely lemony risotto this summer.The combination of Parmesan, lemon and tender rice is a wonderful accompaniment to a humble roast chicken or it can be elevated with pan roasted fish or shellfish. If there are any leftovers, they make great risotto cakes. For Meatless Monday, you could easily make this using vegetable broth and serve it with sautéed mushrooms and a simple green salad. 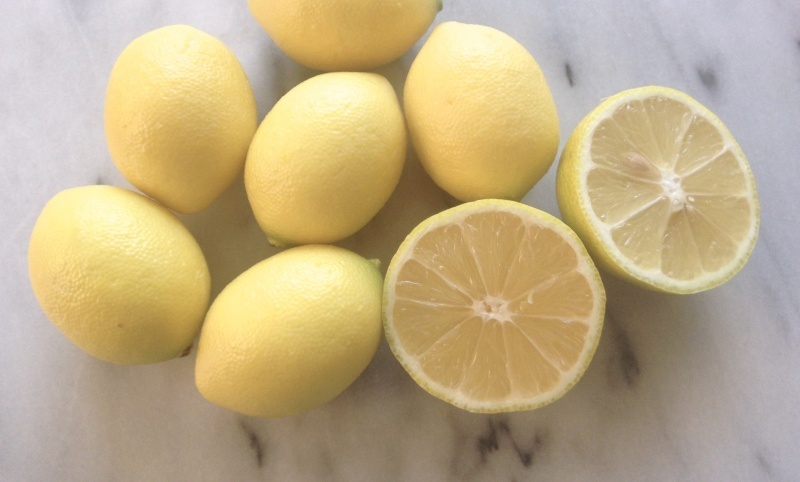 For a richer, somewhat caramelized flavor, roast your lemons in the oven. Heat the butter and olive oil in a large heavy bottomed pan. Add diced onion and cook over medium heat until translucent. Add the Arborio rice and stir to coat well with the oil. Add about 1/2 cup of the stock and the shallots and stir around until the liquid evaporates. Once that first bit of liquid is gone, add another cup of the warmed stock. Stir, and while it’s slowly cooking, zest the lemon and chopped with the garlic and herbs. Set aside. Add another cup of the broth and stir a few times to make sure the rice gets all around the pot. The starches will start to release and the rice will begin looking soft. Once that liquid is evaporated, add another cup and continue stirring until that liquid is absorb as well. Continue until all the broth is gone. The risotto will start to thicken and it will look glossy. Add the lemon juice, the chopped zest, garlic, herb mixture and stir to incorporate. Turn off the heat and stir in the Parmesean cheese. Season with salt and freshly cracked pepper and serve.